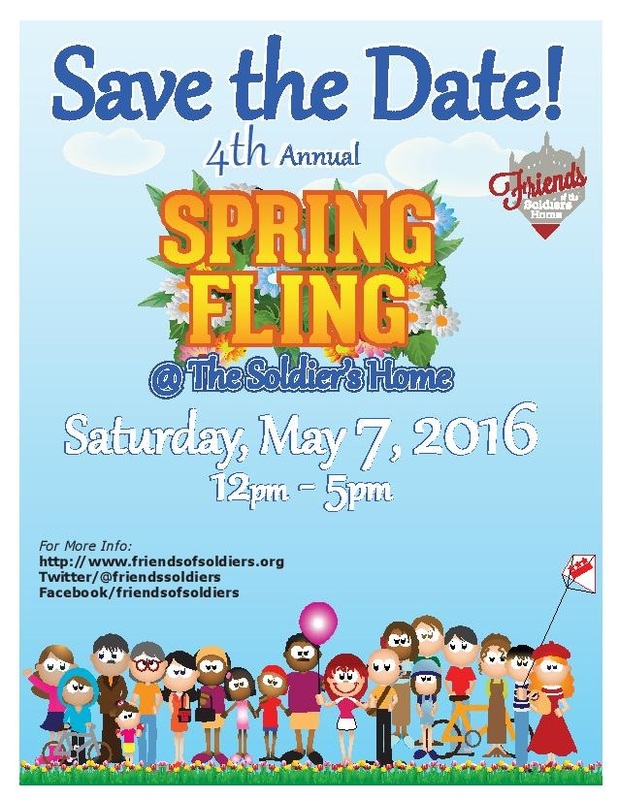 Save the Date — Spring Fling Scheduled for May 7, 2016! Tee It Up! 2016 Golf Memberships Available at Soldiers Home-D.C.
Friends of the Soldiers Home for the fourth consecutive year is pleased to announce that through our organization, members of the community have an opportunity to become associate members of the Armed Forces Retirement Home Golf Course. This is an exciting opportunity to use a nine-hole golf course located on the Home’s beautiful, historic campus in the heart of Washington, D.C. This opportunity shows continued growth in the Friends-Home partnership that will includes more than 50 activities this year, including the upcoming Spring Fling festival on Saturday, May 7. Below is everything you need to know about getting a membership. People may pay $514.26 for a six-month membership from April 1 to September 30th. People who begin memberships later than April can pay a pro-rated amount of $85.71 per month. Fees beyond September will not be collected. Are there any fees per round? Your membership includes unlimited rounds walking. Carts are extra. Can my spouse be included in my membership? What are the guest fees? During the week, fees are $12 for nine holes, $20 for 18 holes (play the same nine holes twice). On the weekend and holidays, the fees are $15 for nine holes and $25 for 18 holes. How much for a cart? Riding carts are $12 for nine holes, $20 for 18 holes. Pull carts are $3. How much to hit balls on the driving range? Are there clubs available to rent? Are there other amenities/restaurants on site? No, at this time there is only a small starter house with vending machines. Yes there are monthly tournaments that are followed by cookouts on site. What is the condition of the course? The condition is comparable to local D.C. public courses. How many current associate golf members are there? Right now there are over 100 associate members. The course hardly ever gets backed up. Where can I get more information about supporting Friends of the Soldiers Home? In order to continue to build this wonderful partnership between the community and the Home, Friends of the Soldiers Home requests a $30 donation from each person who purchases a golf membership by clicking the “donate” button on our website https://friendsofsoldiers.org/ or sending a check to Friends of the Soldiers Home, P.O. Box 3170, Washington, D.C., 20010. We also ask that you be willing to volunteer at some of our activities. What is the next step to get a golf membership? What is the contact information for the golf manager? Happy Hour and Saloon Night are two great nights each month when Friends of the Soldiers Home “invades” our veteran residents with food, drink, fun and above all, companionship. At the recent Happy Hour, resident extraordinaire Ray returned to his duties as our DJ. We had a nice mix of older and younger residents. The Nam Nights always enter into a fascinating discussion with residents and this night was no exception. A handful of World War II veterans joined us! One week after Happy Hour, it was a Super Saloon Night in the Defender’s Inn as volunteers and residents mingled to the soothing saxophone sounds of Herb Spice and pianist Collin Chambers. A special guest appearance at the event by Washington Wizards cheerleaders certainly brightened everyone’s spirits with their cheer and good will. Regular Saloon Night attendees enjoyed the pizza and beverages. Remember, you can join us at these events! Write volunteerfriendsofsoldiers (at) gmail (dot) com to learn more. Photos and stories by Liz Cocke, Kerry Hamblin and John Hughes. We have had some great teams at Bowling With Friends, and this month was no exception. Armed Forces Retirement Home-Washington resident Edith Ellington teamed with volunteer Kalii Wright to take first place with a score of 391! Second place, with a score of 377, went to resident Sheldon Stackhouse, who was teamed with stalwart Friends volunteers Lori Lincoln and Rocelia Johnson. Resident Rogers Ferguson and volunteer Shawn Magnuson took third at 375. The team that needs the most improvement was resident Jean Ringuette and Lonell Johnson. We won’t post the score, but we will tell you that it was not Jean’s score that hurt the team! Don’t worry, Lonell will be ready next month, so everyone watch out! Bowling With Friends happens the third Tuesday evening of each month. To be part of the fun, write Lori Lincoln at volunteerfriendsofsoldiers (at) gmail (dot) com. Story by Carol Mitchell, photos by Lori Lincoln.